Last year, when The Tick season 2 was filming in New York City, I was able to visit the set and watched a very cool scene featuring a number of superheroes in a tense situation. Unfortunately, the scene is from the season 2 finale, so while I’d love to say exactly what was happening, it’s a huge spoiler. 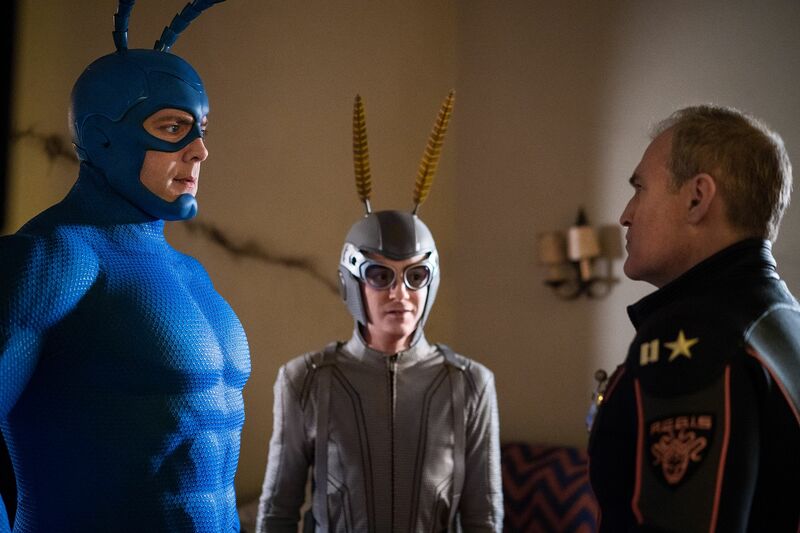 Just know the world of The Tick has been expanded with new locations and characters in the second season – including a number of new heroes that may or may not be what they seem…. Shortly after watching the scene get filmed, I managed to get some time with The Tick stars Peter Serafinowicz and Griffin Newman. 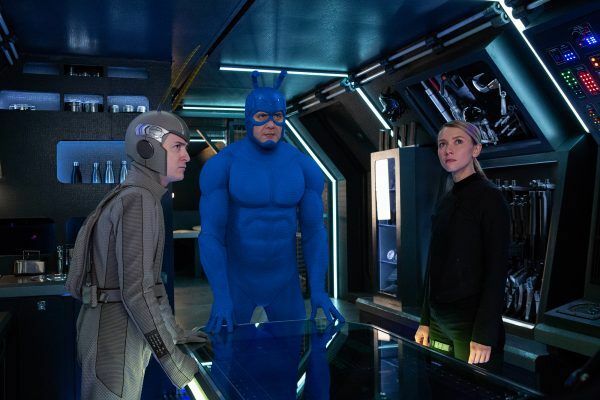 During the interview, they talked about the Season 1 finale, what fans can expect in Season 2, The Tick’s new costume, how much the series will focus on The Tick’s backstory, Arthur embracing being a superhero, some of the new characters introduced in season 2, Dangerboat and Arthur’s blossoming relationship, how the storyline changed during the season, what new characters join the show, and so much more. Check out what he had to say below. The Tick also stars Valorie Curry, Brendan Hines, Scott Speiser and Yara Martinez. 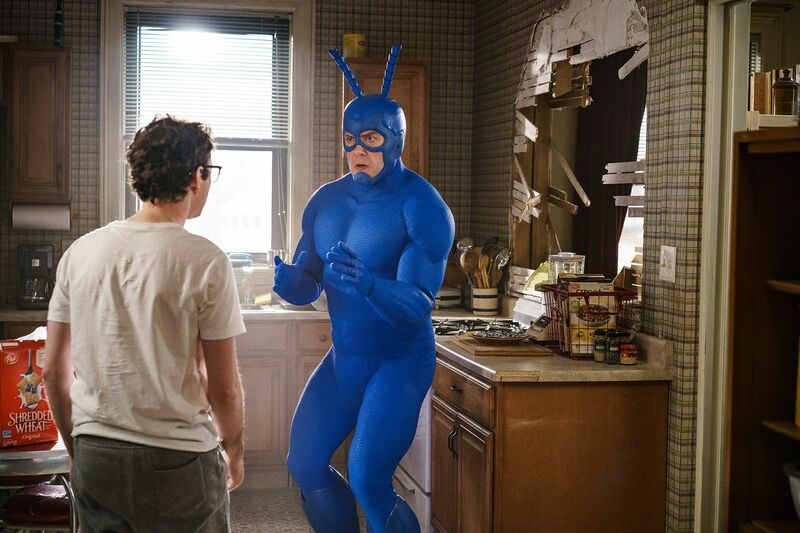 The Tick season 2 drops on Amazon Prime Video April 5th. Collider: What can you guys tease about season 2? PETER SERAFINOWICZ: Well, I think season 1 was all about Arthur being on this hero’s journey. Season 2 starts with Arthur being a hero right from the start. Now it’s down to business, the business of superhero-ing in the city, and doing all of those things that superheroes do. At the start, I guess it’s Tick mentoring him. Okay, you’ve got the job. Now, let’s do the job. 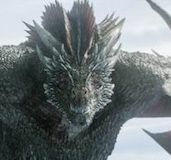 GRIFFIN NEWMAN: It’s very easy to follow the path of a hero’s journey, which is why the first season was so much of our deconstruction of those tropes. Now, it’s like the struggle of how to make that into a career. It’s no longer – here’s the personal vendetta, here’s my arch nemesis, here’s the trauma I have to meet of the man who killed my father. We need to figure out how we can still do this everyday for the rest of your life, and do this by the books – which is the other big thing that season 2 is us getting wrapped up into this bureaucracy of the superhero world. The Tick, who’s a guy who sees things in such black and white terms, it’s good and it’s evil. There’s a lot of grey area that we need to live in now. Arthur comes from a more bureaucratic world as a former accountant. It’s like Tick teaching Arthur how to be a superhero and Arthur teaching Tick how to reasonable asses your surroundings, and go through due process, and not just punch people. SERAFINOWICZ: You could almost say that Arthur’s superpower is dealing with paperwork, which is something that Tick absolutely detests. It’s like his kryptonite. Something that I share with the Tick, something that Griffin shares with the Tick, and something that Ben Edlund shares. NEWMAN: It is no joke the biggest acting challenge I’ve had on this series is pretending that I am good at and enjoy doing paperwork. There’s nothing that triggers my anxiety more than even prop paperwork. It drives me insane and I have all these scenes where I have to act like I’m super proficient at it and enjoy it. The running joke in all the versions of The Tick is that Tick is nigh invulnerable, but you never really see where that nigh comes in. We finally identify the nigh which is paperwork. That is the one thing that can almost kill The Tick, is his frustration with paperwork. One of the things about a first season is that you’re figuring out the infrastructure of making the show. How many VFX can you do in an episode. How much can you do in the seven day shoot or whatever the schedule is. How has it changed in making season two, now that everyone knows how to make a show like The Tick? SERAFINOWICZ: I don’t know, really. It’s still a challenge. We do know a lot more. NEWMAN: It’s not like our show is Cheers, where you can get past the growing pains of the production and you go, great, so we know what this bar is like. We know what the angles are like. Everyone has their characters figured out. 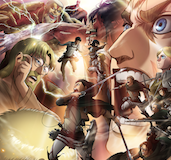 We go into season two with a lot of new characters, a lot of knew locations and all these knew struggles. There’s certain things we’ve figured out in terms of work flow. It’s also constantly, new things being thrown at us. 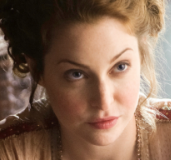 The show doesn’t have a status quo that we can click into as a comfort zone. 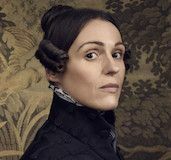 Season one ended with a tease of Midnight (the dog), saying “They’re going to be watching you now.” How much does that last bit of season one play into the arc of season two? NEWMAN: Huge. I think that’s the backbone of the whole thing. Us being on this radar is a blessing and a curse. I hate asking about the costume, but I did notice the costume is different for The Tick. Is that a result of you saying, “Guys, this needs to change”? SERAFINOWICZ: (laughs). Yeah, I guess it was pretty much mostly down to me. I’m the one that’s wearing it. Nobody else has to wear it, and it has unique challenges. A big thing about it is, the costume this year has greatly improved. It’s much more mobile. Wait, you can turn your head? SERAFINOWICZ: Yeah. I can turn my head. (laughs). Because I have these antennas that are operated by our puppeteer, Lars, it presents this unique challenge that there has to be motors and electronics. The batteries have to go somewhere and it has to transmit. What that amounts to is that, once I’m in this helmet that’s attached to this suit by wires and battery packs. Once I’m in it, I’m pretty much locked, glued, zipped, velcroed and stuck in this thing. I don’t know if there’s a way around it. Have any developments been made in computer graphics? NEWMAN: I think they tapped out at last year. That’s the last one I saw. It’s a little rocky. SERAFINOWICZ: It’s, you know, today. Have you been in? Have you filmed again? NEWMAN: I was filming now, so. SERAFINOWICZ: Oh, you’re kidding. Really? I was watching, I saw the whole thing. SERAFINOWICZ: Is it still hot. NEWMAN: Yeah. It’s not cold in there. I feel like there are practical realities to this show that we’re trying to figure out and streamline. It’s not just about things like comfort. It’s like, you don’t want to hire Peter and then not give him the range to be able to perform that character fully. You joke about the head turn thing, but it is like a thing. Peter’s a very physical actor. You don’t want to limit the vocabulary of what he can do. You don’t want to limit the ability of how long he can be in the suit. All these things benefit the performance, not just the visuals of it. 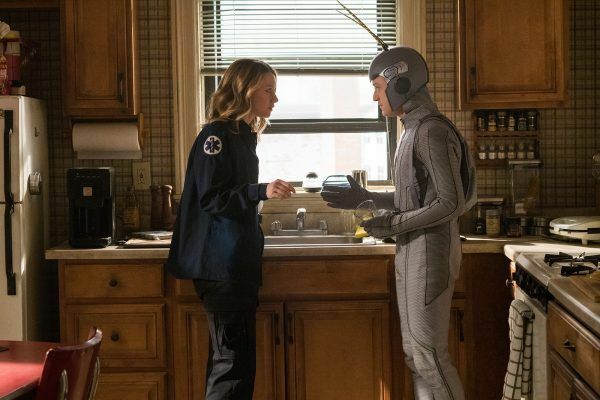 I also think, we made the shift – the costume from the pilot to season one, and then this other shift from the season one costume to the season two costume. There’s changes mandated by the practical concerns. We also very smartly, without overdoing it, written it into the DNA of the show. From the beginning, episode one of season two, we sort of call together the ever changing nature of the suit in a way that’s not just going, “Hey, pretend that didn’t happen.” We’re trying to make that part of the story thing as well. One of the things about season one was The Tick trying to figure out who he was. I really enjoyed the robot bit. 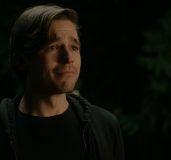 How much of season two is Tick still trying to figure out who he is?